Sandestin, Florida is the ultimate in southern relaxation. Over seven miles of beach and bayfront make this Gulf of Mexico resort a spectacular destination teeming with water sports and recreational pursuits of every kind. The Club location in Sandestin features large balconies with deep Hemingway lounge chairs, large pools and inviting hammocks. From your Vacation Home explore the surrounding area, including Jolee Island Nature Park, world-class golf and tennis facilities, the lively Village of Baytowne Wharf and more. Carved from 2,400 magnificent acres along the panhandle of Florida's Gulf Coast, Sandestin Golf & Beach Resort boasts the emerald-green waters and sugar-white sands of the world's most spectacular beaches. The only resort that fronts both the Gulf of Mexico and Choctawhatchee Bay, this amazing backdrop offers an irresistible invitation to explore, to play, and to recharge while at Embarc Sandestin. Embarc Sandestin is reminiscent of the grand old seaside lodges. A mixture of plank and shingle construction, tinted green and aqua glass, covered solariums and decks with metal railings exude a classic charm. Lush foliage is layered amongst spectacular landscaping. The Vacation Homes are a unique mix of tropical seaside colors and rustic textures with whitewashed pine furniture and wicker. Pull back the billowy canvas window coverings for views of Choctawhatchee Bay, the golf courses and The Village at Baytowne Wharf. Embarc Sandestin is the ideal setting to experience the peace and serenity of the Emerald Coast. Every year from April through November, loggerhead, leatherback and green sea turtles end their migration from the waters of South America and Mexico and come ashore at Sandestin to lay their eggs. As a primary nesting site, this natural phenomenon is a must-see best enjoyed on an educational walk with the South Walton Turtle Watch. Don't miss hiking around Jolee Island Nature Reserve, stopping for a picnic at Caption Joe Lee¹s Treehouse. Sandestin's renowned golf offers the keen player many choices. Choose the challenging play of the Raven Golf Club, with its lush landscaping and dramatic water features. Stretching 7,000 yards through majestic towering pines, the Burnt Pine Golf Club is referred to as the "crown jewel of Florida golf" by GOLF Magazine. The Baytowne Golf Club boasts a pine tree-lined layout on the front nine and breathtaking ocean views on the back nine. The Links Course winds its way through lakes, marshes and pine forests, where calculated shots are a must with the changing Gulf Coast winds. Explore the South Walton Antiques Trail along scenic Highway 30A, a mecca for antique hunters. Or discover nearby Seaside, where the highlight is charming Ruskin Place, an urban artist colony. A visit to the Florida panhandle would be incomplete without a drive to Grayton Beach. Enjoy a romantic dinner at Criolla's (call 850-267-1267), famous for their Four Course Island Hopping menu with its sublime equatorial flavors. For more information on Sandestin, click here. 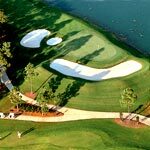 Culturally, as well as geographically, Sandestin Golf & Beach Resort is located midway between Tallahassee and New Orleans, near the junction of Alabama, Louisiana and Florida. For that reason, it is a literal "gumbo" of social, architectural and culinary influences. A golf and beach destination nothing less than spectacular is all that and so much more. With sugar-white sand beaches, consistently ranked the best in the US, it is a place filled with unexpected and delightful surprises - not the least of which are in unhurried pace and Southern hospitality. "Tall, cold drinks are closer to hand. Towels are fluffier. Beach chairs are more comfortable. The sunbrellas provide more shade. The golf is spectacular. Everything is sunnier." Florida is Spanish for 'Full of Flowers' and there is evidence of its name everywhere. The streets are lined with seasonal flowers - magnolia trees, blazing azaleas, oleander - all providing the delicate and exotic aromas of the South. So it's no surprise that the adventurous, exotic and local cuisine of Sandestin is as alluring as the flowers. The Gulf Coast is known for its eclectic specialties, and especially for fresh seafood. The Elephant Walk is the signature restaurant at Sandestin, featuring creative, contemporary cuisine with an exotic flair and specializing in fresh local seafood. Enjoy a feast for the senses with a panoramic view, live music and sumptuous grouper, red snapper, prawns and other delights. With these culinary options to choose from, you may want to work off a few extra calories at Sandestin's Health Club. Or, perhaps a round of golf at one of the four championship courses. Golf is ranked as the #2 reason people come to Sandestin (the beach is #1!). 7.5 miles / 12 kms of Gulf and bayfront.